The ultimate in MLP/Dr Who cross-overs! MLP is My Little Pony. A Huge fandom. But what better to deal with them than these.... MY LITTLE DALEK!!!! 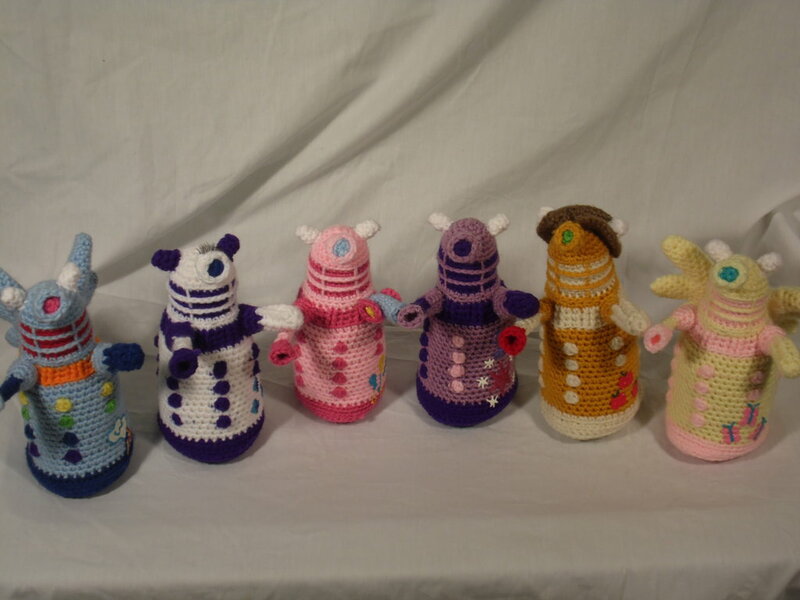 In other news - I found a Ravelry link to a free Crochet pattern for a Dalek! !